We have carefully selected the Top 5 Best Chocolate Clubs that we think will appeal most to the chocolate lovers out there. Our evaluation and critiques are extensive and based on the club’s prices, quality of chocolate, selection and even little added perks. These top five clubs are guaranteed to impress and deliver on their promises – taking the guesswork out of finding that perfect decadent club. We all have a budget. Whether you are buying for yourself or someone else, these clubs offer the best possible price. Our curated list of the Best Budget-Friendly Chocolate Clubs ensures you get the cheapest monthly subscription without sacrificing the quality of chocolate. To you, it is all about bang for your buck. Our curated list of the Best Value Chocolate Clubs ensures every penny you spend returns with high-quality, delicious chocolates. We make sure you get maximum weight per dollar, delightful perks and as much as possible for the subscription you paid for. Craving those little dollops of rich chocolate? Not everyone can pull of the perfect truffle. That is why we have personally selected this list of the Best Truffle Chocolate Club based on their expertise, quality of chocolate, ingredients and uniqueness. From seasonal favorites to exotic ingredients, these clubs know what it takes to produce the perfect one-bite treat. Variety is the spice of life – and that is what you crave. You don’t want the boring garden variety and you sure don’t want to spend your subscriptions on the same chocolates each month. 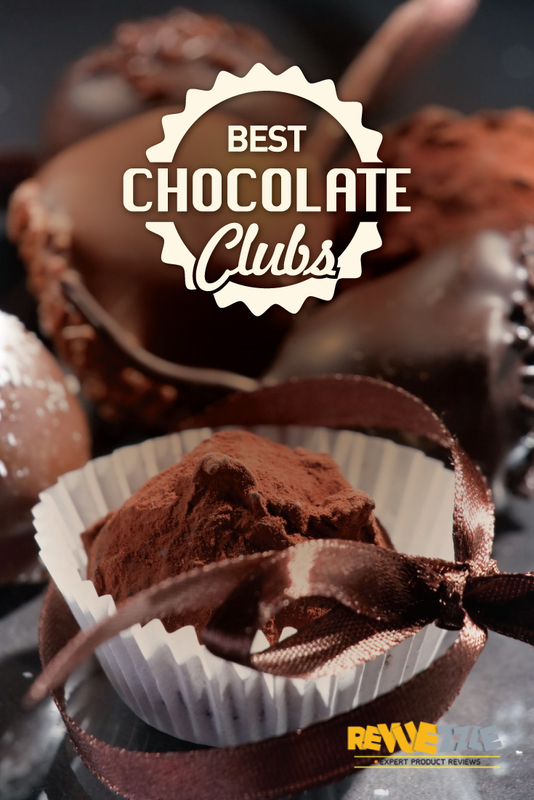 Our list of the Best Variety Chocolate Clubs is sure to give you something exciting, fun and definitely different every month. You’ve danced around with milk, dark and everything in between. Now you want only the best chocolates from around the world. Our editors have selected this list of the Best Fine, High-Quality Chocolate Clubs so that you can see what luxury wrapped in a chocolate blanket tastes like. From fine, rare ingredients to world-class chocolatiers, these clubs are for the chocolate connoisseur. Out-of-the-box is just how you do things. That is why our editorial staff has specially curated this list of the Best Exotic/Unique Chocolate Clubs just for you. From off-the-wall ingredient lists to gluten-free to local Vermont-inspired flavors, each one of these clubs offers something you will not find anywhere else. Who wouldn’t want to receive the gift of chocolate? Whether you are saying “thank you” or celebrating the holidays, our Best Chocolate Club Gifts were picked based on their price, selection and gift-giving perks. These clubs were designed to be given and have been handpicked just for you to give. Want to impress that special client? Say “thank you” to a devoted team member? We have selected five of the Best Corporate Chocolate Club Gifts just for you. These clubs offer special gift-giving perks and fine chocolates that are sure to impress clients, employees and even yourself. How much do you want to spend? Clubs can vary from $19.99 per month to over $100. Some charge shipping and others don’t. By having a total price point in mind, you can better decide which chocolate club is right for you. What are you looking for in terms of variety? Some clubs only offer their own brand of chocolates, while others scour the world to bring you the biggest variety of chocolates. There are some that send only one type of chocolate (such as milk, truffles, etc.). Decide how much variety you want for your club experience. How much chocolate do you want? Some clubs only send six truffles, while others will send you more than a pound. You can decide how much chocolate you want for the monthly price to help narrow down your list. How long are you ready to commit? Most chocolate clubs require a three-month minimum contract and some go up to one year. You will need to decide how long you want to commit to receiving and eating chocolate before picking a club.